KC Professional Color Mask Shampoo is a shampoo developed especially for coloured hair. Its gentle SLS and SLES free formula, conditioning ingredients and balanced pigment keep your hair radiant right up until the next colouring. Hair colour fading is mostly caused by the mechanical strain placed on the hair during washing as well as chemical strains by ingredients in shampoos which cleanse and condition the hair. KC Professional Color Mask Shampoo protects the hair from pigment loss by preventing the two points above as well as by replacing and adding pigment keeping hair radiant. I have it in the shade Brown. The shampoo itself is quite dark and runny. I rub it between the palms of my hands and smooth through my hair. It creates a little lather depending on how much product you put. Make sure to rinse well and run water on the walls to remove excess pigment splattered on your shower surfaces. This is one of those shampoos that leaves a 'squeaky clean feel' to the hair and scalp which I do appreciate. 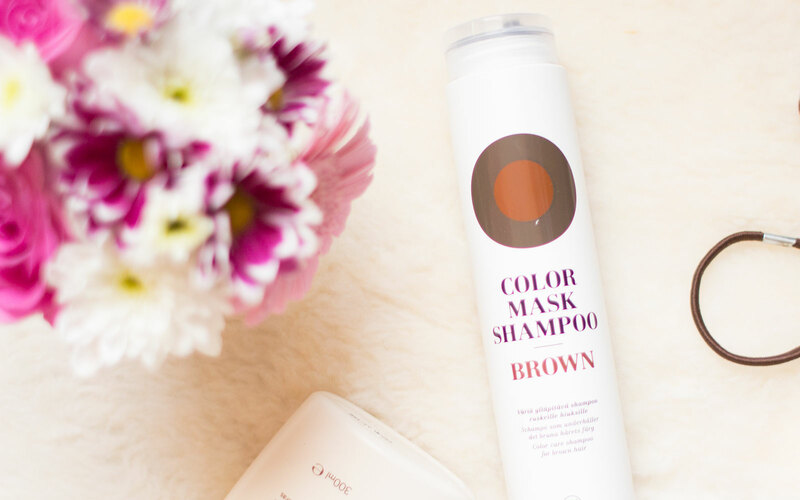 KC Professional Color Mask Shampoo (launching in September 2015) comes in 4 shades, I recommend picking the shade closest to your current hair colour to make it look natural and get the most of using this shampoo.